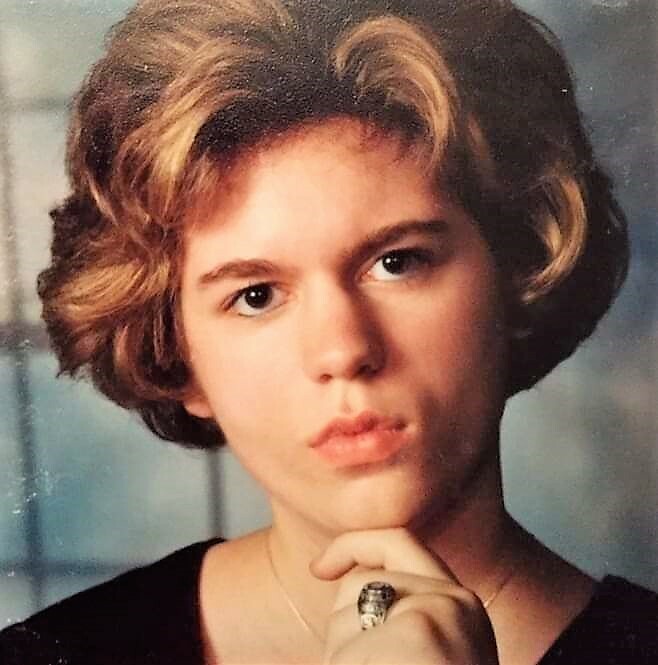 Christina M. Hargrave, 32, of Plymouth, passed away Saturday, November 17, 2018 at home, with her loving family by her side, after a lifelong, courageous battle against muscular dystrophy. Born in Kingston, she was the daughter of Dave and Darlene Hargrave Shaffern. Chrys was a 2004 graduate of GAR Memorial High School, she attended the Upward Bound Program at Wilkes University and was a 2011 graduate of ITT Technical Institute. Chrys had a passion and flare for writing stories and poems. She was a computer wiz and enjoyed reading, making custom jewelry for her family and friends, listening to music, Pokémon and especially spending as much time as possible with her family. She was the brightest star on our family tree and was deeply loved and adored by all who knew her. Our lives will never be the same since God called our angel home. We can only take comfort in knowing that her suffering is over, her spirit is free, and she can not only walk, but run through the clouds in Heaven. She was preceded in death by her Great Auntie Lena DeBiase. Surviving in addition to her parents are her grandparents, David and Marguerite (Nana & Pop) Hargrave. Aunts and Uncles, David Hargrave, Dominic and Davian Hargrave, Rodney and Deanna Uniatowski, John and Deb Krokos, Derek and Melody Hargrave, Jean and Howard Hazeltine, Joe and Marilyn Shaffern, MaryAnn Wayno, Rosie and Steve Roberts, Pete and Paula Shaffern. Cousins, Erika, Megan, Caitlin, Alexandria, Justin, Sarah, Logan, Frankie, Olivia and Madison, Fiancé, Donald Moser, Extended Family, Theresa Moser, Dawn Beltz, Renee Moser, Theresa Riley, Pattie Augustine, Madison and Mckenzie Cunningham and Philip John Moser. Her beloved pets, Blaze, Tiny Cat, Chyco, Bella, Buddy, Lexie and Raider. The family wishes to thank two special, amazing angels who were sent to us by God. Brandee McCarthy and Crystal Palgreen for their compassion and for truly caring for and loving Chrys as much as her family does. Without these incredible women, Chrys would not have fought as long and hard as she did. You will always be apart of our family and we are eternally grateful. A celebration of Christina’s life will be held on Wednesday, November 28, 2018 at 7:00 pm at the Corcoran Funeral Home, Inc., 20 South Main Street, Plains, PA 18705. Family and friends may call 4:00 to 7:00 pm at the funeral home on Wednesday. In lieu of flowers, memorial contributions may be made to the Muscular Dystrophy Association by visiting www.mda.org.